Flag monographs and charts are an invaluable aid the study of flags. 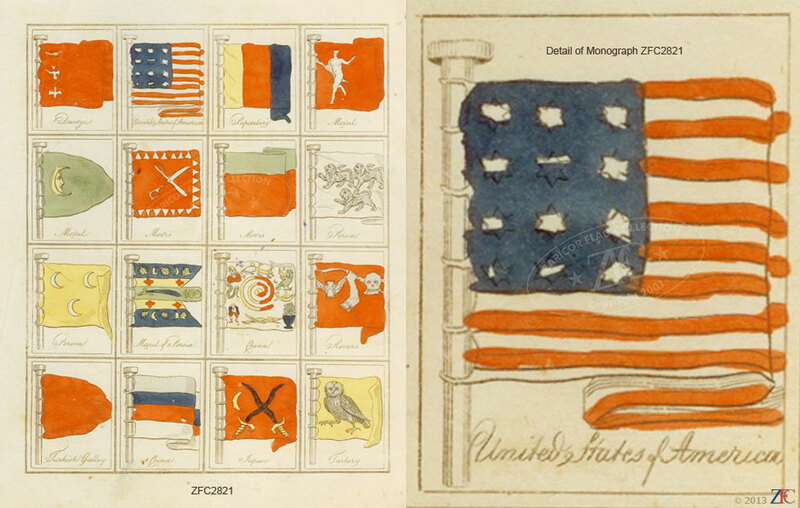 Included in this Grouping are 19th century flag charts detailing the evolution of the Stars & Stripes. The monograph dates from 1813 and clearly demonstrates the lack of knowledge about the American flag. Significant among the charts are examples from 1837; 1858; 1863; 1873; 1883; 1886 and 1895 which snapshots of the state of flag scholarship in the 19th century. Also included are several educational charts for the 20th century illustrating the power of flags in the classroom.